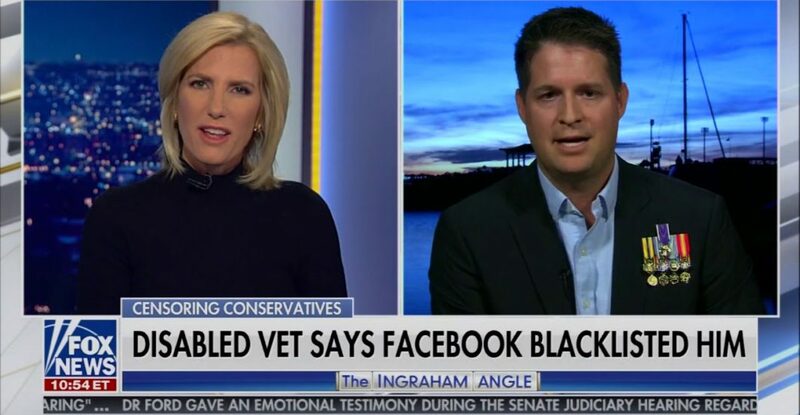 Triple Amputee veteran joined Fox News “Ingraham Angle” to discuss his Facebook pages being taken away from him after spending thousands of dollars on advertising with the Tech Giant. I am so sorry this happened to you. And to take away your lively hood for your family. What ever goes around comes around.